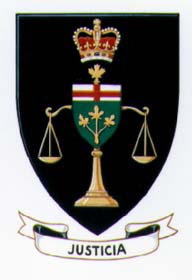 one of three Canadian courts with its own coat of arms. 1. COSTS TIP - You can receive back in legal costs up to 15% of the claim value if you hire a qualified professional to represent you, and only a minor ($500) appearance fee if you represent yourself. Generally you will receive the highest level of costs if your retain a lawyer, given the higher fees involved. This 15% is based on the total value of the claim, not the amount ultimately awarded by the court. So if you claim $25,000 against someone, use a lawyer, and ultimately are awarded $12,000, you will be entitled to a maximum of $3750 in costs (15% of the $25k, not the $12k). Thus for larger value claims, you may be able to recoup most of your legal costs if using a lawyer, rather than representing yourself - though ultimately costs awards are discretionary to the court, and will depend largely on your degree of success in making or defending against a claim. 2. PLAINTIFF'S CLAIM AND DEFENCE DRAFTING TIP - In describing the facts and law of your case, you aren't limited to the amount of space given to you in the standard Plaintiff's Claim or Defence forms, nor do you need to add supplemental forms. You can use an Appendix "A" where you set out by consecutively numbered paragraphs your story, explaining why the claim should succeed or fail. 3. WHAT CAN BE CLAIMED TIP - In Ontario Small Claims Court (and many other small claims courts), you can only make a claim for money or the return of personal property, not exceeding a value of $25,000. That $25,000 limit only went up from $10,000 a couple of years ago, and has made it a lot more attractive to involve lawyers in Small Claims Court legal proceedings, because more is at stake, and more can be recovered in legal costs. But the money or personal property limitation means that if you want to force someone to do something (like comply with the conditions of a contract beyond just paying money), or to not do something (like creating a nuisance on a neighbouring property), then you must head to the full blown Ontario Superior Court of Justice (not the Small Claims Court division), and institute a civil application or action. Different rules of procedure apply, it becomes more difficult to appear there without a lawyer's help (though not impossible, unless you are a corporation), and the process is generally more expensive because of the procedural steps required to get to trial. 4. SERVICE TRICK - Although a Plaintiff's Claim needs to be served personally or by a permitted alternative to personal service, you may serve your Small Claims Court claim by the quite reasonably priced means of registered mail, rather than hiring a process server. However, in order for your service by registered mail to be effective, the person being served actually needs to pick up and sign for the registered letter. If that person chooses not to sign, you are back to looking at other means for service provided for in the Rules. The best news for defendants is that you don't need to do anything to serve a statement of Defence. The Court serves it for you. Just show up at the Court counter with three copies of the Defence. They will all be stamped as to date filed, one copy will be placed in the Court file, one will be sent out to the Plaintiff, and one will be returned to you. 5. PLAINTIFF'S TIMING TIP - The sooner you serve and file a Plaintiff's Claim, the better, because there are all sorts of civil limitation period laws out there waiting to trap the unwary. In Ontario two years from the time of the event/loss is a common limitation period, but some limitations can be shorter, and some occasionally longer. You might also have to provide notice prior to filing a claim, such as for claims against certain governments. Limitation periods can get quite complicated even for the lawyers, so legal advice here can be really useful. 6. DEFENDANT'S TIMING TIP - Defendants only have 20 calendar days (not Monday to Friday working days) from the day they are served to file a Defence. Even in this day and age of rush, this isn't a whole lot of time. Although I might be stating the obvious here, don't be late in your defence, or bad things will happen. Like a default judgment against you. There are ways to beg the Court's forgiveness is filing late, but you will need a good excuse other than "I had other things to do." Especially if you are going to hire a lawyer, the lawyer will need most of that 20 days to discuss the case with you, conclude a retainer agreement, and construct a coherent defence within a timeframe which might see the lawyer in court ever day of the Monday to Friday week on other cases. 7. PROCEDURE TRICK - Asking for a full day trial may best ensure you get heard on the day you want to get heard. If you share your day with other cases, there's a chance your case may never get reached if the court runs out of time. However, you will need to justify to the trial coordinator why your case needs a full day, such as because of the large numbers of witnesses you intend to call or exhibits you plan to introduce, or due to the complexity of the legal argument you will make. 8. EVIDENCE TIP - Although the procedure of Small Claims Court may be less formal than in other courts, the normal rules of evidence still apply to any trial. These rules can get very complex, as lawyers themselves have trouble with them from time to time. The most important rule to remember is that generally speaking, hearsay is inadmissible. This means that you and others can't testify about things you didn't personally see or hear, nor can you testify about documents or other exhibits you don't have personal knowledge of. So, for example, if you are claiming that your neighbour regularly trespasses on your property because another neighbour has told you so, you will need that other neighbour as a witness. 9. APPEAL TIP - You have a right to appeal any Small Claims Court judgement to a single judge of the Ontario Divisional Court, which is another division of the Ontario Superior Court of Justice, for any judgment exceeding $2500 in value (excluding costs). But you will only have 30 days in which to serve and file the Notice of Appeal. Even if you didn't use a lawyer at trial, you might want to consider hiring one for the appeal since appeals are more technical in nature than trials, and tend to involve a largely paper process where a written factum of argument, case on appeal book (containing the exhibits and other records), transcripts and book of legal authorities are files. An appeal usually still involves an oral in-person hearing before a judge, but it is not a rehearing of the trial. I would like a clarification on your "Cost Tip". Could you please provide a reference for the 15% of the claim value for legal costs. I could not find this in the rules.